For additional information about this book, visit the website thejustmarket.com. Just Market values respect competition. But they also represent a culture of economic justice that prioritizes employment opportunity and universal access to human needs over the creation of massive individual wealth for the few. The Just Market addresses those issues by weaving Jewish source texts, their six underlying economic principles, social justice values and contemporary policy analysis into a compelling modern paradigm. 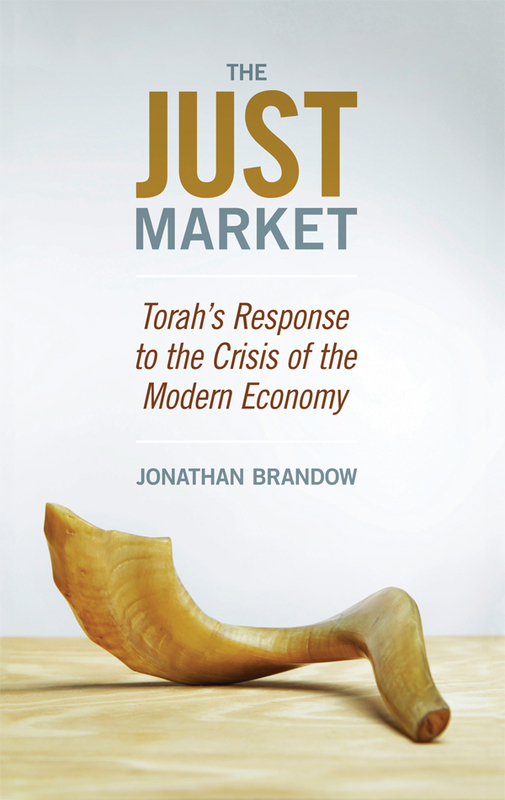 The Just Market develops a detailed proof text for the tradition of Jewish economic justice advocacy. Its analysis will prove valuable to the student of religious ethics and social justice activists alike. Jon Brandow has been a rank-and-file labor organizer, the president of a large shipyard union local and an economic policy and development advisor to local, state and federal agencies; his professional and advocacy work has been profiled in Business Week, the Boston Globe, the Philadelphia Inquirer, the Baltimore Sun and Ha’aretz. He’s written for the Boston Globe, In These Times and other publications, and publishes a blog on Jewish values and economic policy. He is the founder of the industry research firm BizMiner.